Here is an amazing video about the evil entity known as Pennywise from Stephen King’s It (2017) and Pennywise’s greatest fear. This film theory goes to incorporate Stephen King’s The Shining (1980) and the little boy Danny (Danny Lloyd) who possesses “The Shining” ability and the older man Hallorann (Scatman Crothers) who also possesses “The Shining” ability. That Shining ability is seen in the Derry children and the high probability that Hallorann is a survivor of the building fire that killed so many people referenced in It (2017) and Stephen King’s It (1990). These film theories further go to link the Stephen King universe but watch the video already for the full details. This Pennywise film theory video is a little over 13-minutes long. When I watch a horror film I really like I have to see the bonus features or behind the scenes footage too. Stephen King’s It (2017) was a success, so I am sharing this video featuring the It (2017) behind the scenes footage with director Andy Muschietti and the man behind the Pennywise makeup Bill Skarsgard to name a few people featured in this It video. This video is a little over 16-minutes long and well worth watching, enjoy and tell us what you think. Watch this parody video featuring Pennywise from Stephen King’s It (2017) as he sings a menacingly sinister song that is dubbed right over the It trailer in the best way possible. This parody video is a little over 4-minutes long of something in the most bizarre in a very interesting way. Don’t forget to like and share this video. What went wrong with The Dark Tower (2017)? Stephen King movie fans had high hopes for The Dark Tower (2017) which would introduce moviegoers to Roland Deschain (Idris Elba) and kick off a would-be series of films very much like Peter Jackson’s The Lord of the Rings franchise. However, fans were instead treated with a major disappointment of pacing and use of source material. 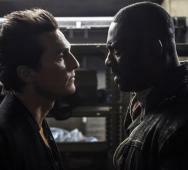 I watched the film and was also disappointed, but I know it was a significant undertaking bringing The Dark Tower into a movie adaptation and that is why director Cary Fukunaga walked away from the film leaving the movie studio Sony to turn to director Nikolaj Arcel to continue the film. Pennywise the killer clown or Pennywise the scary clown is one of Stephen King‘s best creations spanning many generations of horror fans. Here are the top 10 things you didn’t know about Pennywise, but will now. Watch as Minty Comedic Arts delivers the list along with a briefly written version below the video. Also, the facts are there that Pennywise lives! 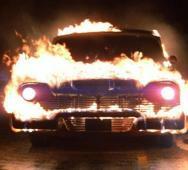 In Stephen King‘s Christine (1983) film, John Carpenter took a directorial stab at this movie adaptation film leaving viewers with a killer car able to regenerate itself. A purely evil menacing and homicidal car is not easy to pull off and Carpenter did a good job coming right off of his masterpiece The Thing (1982). This John Carpenter film deviates a lot from the Stephen King book and this video by Minty Comedic Arts details many of the fun things you may not know about Christine. Here is a list of scary horror movies that take place in one location. Stephen King‘s Misery (1990) is listed here with Kathy Bates as the as the notorious villain who is a crazed fan keeping her favorite writer against his will. Remember the excellent zombie film Pontypool (2008) and what about Cube (1997)? Check out the full list of scary horror movies below. Stephen King’s It (1990) was my first introduction to Pennywise the Clown. 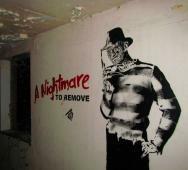 One of the very first movies to ever scare me putting it above A Nightmare on Elm Street (1984) with Freddy Krueger. 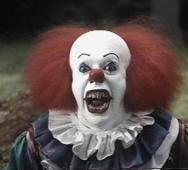 It was mainly because of Tim Curry‘s performance as Pennywise that made that possible. Here is a fun video by Dead Meat detailing all of the death scenes with a final kill count revealed at the end of the video. 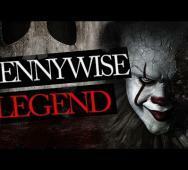 Stephen King‘s Pennywise the Clown is an ancient force of evil with its dead lights and shrouded backstory. Watch this 8-minute video to discover all the mysterious and hidden Pennywise lore that is otherwise difficult to uncover. FoundFlix has done all the research and delivers these Pennywise fun facts in an entertaining way. 11 Most Anticipated Horror Movies of 2019! Looking forward to the highly anticipated new 2019 horror movies we have The Crooked Man (2019), It: Chapter Two (2019), Hellboy (2018), and M. Night Shyamalan’s Glass (2019) to just name a few so far. The full list of all 11 Most Anticipated Horror Movies of 2019 can be found below with descriptions, posters/trailers (if possible), and the Looper video giving their take on each new film. Get stoked, 2019 is going to be another excellent year for the horror genre! Stephen Kings It (2017) was a success and is one of the best Stephen King adaptations, but it does have a few mistakes. If you found a few already that is great, but I bet you did not see all of these. Here are 10 mistakes found in It (2018) that most people did not catch. These Top 10 Horror Movie Icons were an essential part of many horror fans lives, turning them into young fans during the 80s - 90s and helping those fans to embrace the horror genre. Those fans grew up and provided the audience for the colossal horror genre we see today in modern horror movies, horror TV shows, and games. You can thank a great many horror icons for contributing. People like Robert Englund, Wes Craven, and Stephen King are just a few names listed in/below the video. We can add more horror icons to this list, but we are staying consistent with the video. 13 Awesome IT (2017) Deleted Movie Scenes! I was a Pennywise wise fan before, and now I have a better Stephen King’s It movie to enjoy. It (2017) is a terrific Stephen King movie adaptation, and if you are like me, you want to see more. 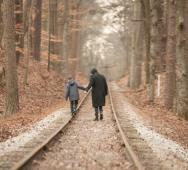 Here is a video from the folks over at Looper and they compiled 13 deleted scenes from It. Check out this selection of the worst movies of 2017 as selected by WatchMojo. 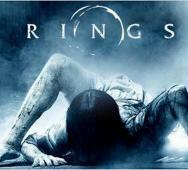 Included in this list are the Stephen King‘s The Dark Tower (2017) which most horror fans agree on and also The Mummy (2017) and Rings (2017). What a year 2017 was with these great 2017 movies listed here. I agree with WatchMojo for the most part, but ouch, Transformers: The Last Knight (2017) took the most hits here. We had some fantastic movies this 2017, but right now we are calling out the worst movies of 2017. Our modified list of films below includes horror and sci-fi genres catered to our fan base. You already know the movie adaptation of Stephen King’s The Dark Tower (2017) directed by Nikolaj Arcel is on this list but wouldn’t you like to know where Looper put it on their list. Flatliners (2017), the remake of Flatliners (1990) also makes an appearance here. Another big let down in Geostorm (2017) rounds out this list. Read on to see the order of these films and additional movies that made the worst films list of 2017. As 2017 comes to an end, here are some top pick movies for 2017. With a slew of Marvel, DC Comics, Star Wars, and horror movies in 2017; these films were rated the best by WatchMojo and ranked in this order. Although we preserved the rating order, some of the films listed below would have been ordered slightly different by us, but that is the fun part of these lists. Top 10 Stephen King Adaptation Remakes Needed Now! Stephen King’s It (2017) directed by Andy Muschietti was a successful Stephen King adaptation remake which is not always the case. WatchMojo posted an exciting video detailing their picks for the top Stephen King adaptation that deserve a remake. 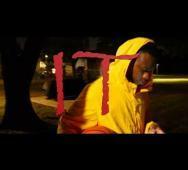 Here is a short horror parody of Stephen King‘s It (2017) featuring Pennywise in a scenario where Georgie was black. Have a few laughs as Georgie turns down Pennywise multiple times but then Pennywise figures out a new way to entice this new Georgie. Have a few chuckles and giggles. Thanks to Joshua Mar for creating and posting this video, please like and share. Watch this funny video featuring Pennywise the Dancing Clown from Stephen King‘s It (2017). 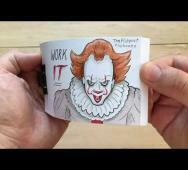 This video is short and straight to the point with drawings of Pennywise flipped to replicate the iconic scene of the terrifying clown Pennywise dancing his maniacal jig. I had to watch it twice; I was laughing so hard. Thanks to theflippist for posting this video, please like and share. Watch this fantastic video of a Pennywise sculpting session. 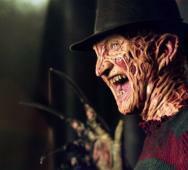 There is nothing like watching a memorable character, especially a horror icon, get molded and created before your eyes. What a painstaking feat and I am glad that I was able to watch it and thought you would enjoy watching it too. Thanks to LoreCraft for creating and posting this video, please like and share. 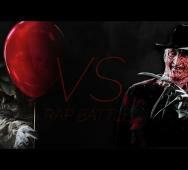 Imagine Stephen King‘s Pennywise vs. Wes Craven‘s Freddy Krueger in a rap battle. Here is the video of such an imagining from two scary characters who have terrified so many children throughout the decades. This video is a raw battle between Pennywise (It (1990), It (2017)) and Freddy Krueger (A Nightmare on Elm Street (1984)). Thanks to Daddyphatsnaps YouTube for creating and posting this entertaining rap battle video, please like and share. Spike's THE MIST TV Series Cancelled After 1 Season!? 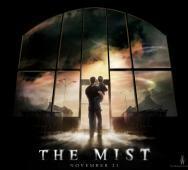 Looking forward to Spike’s The Mist Season 2, sorry, it is canceled! The cliffhanger series finale of The Mist Season 1 suffered from a lower than expected viewership and is announced officially canceled. I know many of you wait to see if a TV series will make it to a season 2 before investing time in a television series, this Stephen King-inspired tv show will not reach most of you, but for me, I will make an exception and still watch it on Netflix on October 24, 2017. Looking for a scary horror movie featuring dogs? Here is our list of top horror movies with dogs. These dogs are no joke and make you scoff at the saying “man’s best friend.” Films included in our list are Stephen King‘s Cujo (1983), Man’s Best Friend (1993), The Breed (2006), Rottweiler (2004), Dogs of Hell (1983), The Pack (1977), Devil Dog: The Hound of Hell (1978), Wilderness (2006), and Monster Dog (1984). Like all of our movie lists, we will add more films in the future. Here are our Top 10 Lovecraftian Movies based on work or influenced by H.P. 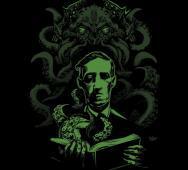 Lovecraft featuring the Lovecraft mythos. These films are also referred to as “Cosmic movies” which is horror movies based on science. We include Clive Barker‘s Lovecraft inspired Hellraiser (1987), John Carpenter‘s In the Mouth of Madness (1994)/The Thing (1982), Stuart Gordon‘s Re-animator (1985)/Dagon (2001)/From Beyond (1986), Paul Anderson‘s Event Horizon (1997), Necronomicon: Book of Dead (1993), Sam Raimi and Bruce Campbell‘s Army of Darkness (1992), Drew Goddard and Joss Whedon‘s The Cabin in the Woods (2012), Stephen King‘s The Mist (2007). In the future, we will expand this list to include even more Lovecraftian films all ranked. Check out this awesome video discussing the True Story behind Stephen King‘s IT character Pennywise the Clown. 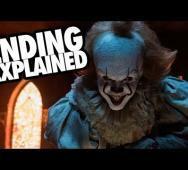 This video starts with the origin story of Pennywise dating back millions of years ago in the dimension called the dead lights where IT was created. Thanks to YouTuber Frostmare TV for posting this video. Stephen King earned his stripes as a Master of Horror and a personal favorite around Hell Horror. Of course, we included Carrie, Firestarter, The Shining, Salem’s Lot but there are so much more to include. Some films may not have followed the books/novels/short stories correctly, so we decided to make a single HUGE list of all of our favorite Stephen King-inspired movies that are scored and ranked. Makes we want to sit down and have a Stephen King movie marathon. Fandango List of Most Anticipated Horror Movies of 2017! Fandango conducted a survey of over 2,000 movie goers during the week of December 19, 2016. Here we included the results of their Top Anticipated Horror Movies Coming in 2017 listed in descending order. We expected many of these horror films to make this list, so there are no surprises here, enjoy! So excited to watch the first Boogeyman horror movie of 2017 in The Bye Bye Man (2017) on January 13, 2017; the first Friday the 13th of the new year. We decided to put together a list of our favorite supernatural horror movie boogeymen featuring many boogeymen who may still haunt the thoughts of many adults today. The Boogeymen listed here include many horror icons so have fun with the list. The facts included here are related to both the popular horror novel The Shining written by Stephen King and the horror film The Shining (1980) directed by Stanley Kubrick. We also sprinkled in some popular fan theories too. We even included famous Stanley Kubrick vs. Stephen King theories and “the fake moon landing” conspiracy theory shot by Kubrick. The book and movie are both prime examples of terror, cabin fever, with a touch of the supernatural. Scary First Look at PENNYWISE in Full Costume! Here is the first look of Bill Skarsgard as “Pennywise the Clown” in full costume for the new Stephen King adaptation reboot/remake of It (2017) directed by Andres Muschietti. Holding true to the lore of Pennywise being around for centuries, the costume design features little Victorian era elements. Owen Teague, Jaeden Lieberher, Jack Dylan Grazer, Wyatt Oleff, Chosen Jacobs, and Jeremy Ray Taylor also star in It. This film is scheduled to release in movie theaters on September 8, 2017. Nikolaj Arcel‘s The Dark Tower (2017) now has an image featuring Idris Elba as The Gunslinger / Roland Deschain. 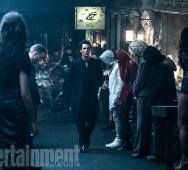 We recently posted the first image of Matthew McConaughey as The Man in Black here. Elba shows off the iconic revolvers of The Gunslinger from Stephen King‘s The Dark Tower book series totaling eight novels also spanning into short stories, comics, other books reference characters/events as well making this series the focal point and glue of many Stephen King works. 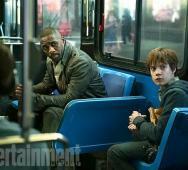 The Dark Tower releases in movie theaters on February 17, 2016, via Sony. Check out this new photo featuring Matthew McConaughey from Nikolaj Arcel‘s The Dark Tower (2017). We all knew McConaughey would nail this role but here is the proof. I am drooling waiting for the next set of promo material to drop for the Stephen King movie adaptation. The Dark Tower releases in movie theaters on February 17, 2017, so we have a while before we start seeing trailers. Stephen King‘s movie adaptation of his horror novel Cell, also titled Cell (2016), is directed by Tod Williams. The film met with a mixed bag of reviews and an altered ending then that is in the book. The Cell Blu-ray/DVD will release on September 27, 2016, via Lionsgate. This release includes an audio commentary and a “To Cell and Back” featurette. 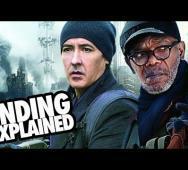 John Cusack, Samuel L. Jackson, Isabelle Fuhrman, Owen Teague, Clark Sarullo, Anthony Reynolds, Erin Elizabeth Burns, and Stacy Keach star in Cell. First Look at PENNYWISE The Clown in New IT Movie! Check out this first look photo of Bill Skarsgard as Pennywise the Clown in the new It (2017) movie. Andres Muschietti is directing the Stephen King It Reboot film. Skarsgard is set to fill the iconic role formerly portrayed by Tim Curry. I like every other horror fan am a little skeptical about the movie in general, but this pic reveals a calm but still creepy looking Pennywise. Javier Botet, Owen Teague, and Jaeden Lieberher will also star in It. Bill Skarsgard is Pennywise the Clown in IT Remake! 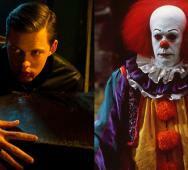 Bill Skarsgard (Netflix’s Hemlock Grove, son of Stellan Skarsgard, brother of Alexander Skarsgard) has beat Will Poulter and Kirk Acevedo for the role of Pennywise the Clown in Stephen King’s It Remake. Skarsgard will play the iconic scary clown in director Andres Muschietti‘s (Mama (2013)) It (2017). Skarsgard will star alongside Jaeden Lieberher, Finn Wolfhard, Jack Dylan Grazer, Wyatt Oleff, Chosen Jacobs, and Jeremy Ray Taylor. Warner Bros. will tell the story in two parts similar to the previous films’ two-part story with the first part featuring the kids’ adventure and the second part about the kids revisiting as adults to finish up business. The first part of It (2017) will release in movie theaters on September 8, 2017. Kirk Acevedo Testing for Pennywise The Clown in IT Remake!? 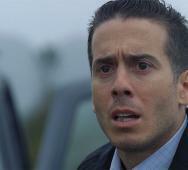 Kirk Acevedo (Band of Brothers, Oz, Dawn of the Planet of the Apes) is currently testing for the Stephen King’s It Remake. It (2017) is now going to be directed by Andres Muschietti (Mama (2013)) after Cary Fukunaga and Pennywise The Clown is up for grabs since The Maze Runner actor Will Poulter is still being considered. Tim Curry left some hefty scary clown shoes to fill to good luck to whoever lands the Pennywise role. It (2017) is set to release on September 9, 2017. AT&T’s Audience Network has greenlit a 10-episode drama series based on Stephen King‘s best-selling novel Mr. Mercedes. David E. Kelly (Boston Public, Ally McBeal, Chicago Hope) is developing the new TV series and will function as writer and showrunner. 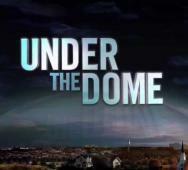 Jack Bender (Lost, Under the Dome) will serve as executive producer and will direct the pilot episode. Brendan Gleeson (Harry Potter) and Anton Yelchin (Star Trek) are confirmed to star in the new series. The Mr. Mercedes TV series will air sometime in 2018. Nikolaj Arcel‘s movie adaptation of Stephen Kings The Dark Tower book series is moving along nicely, here are some photos of Idris Elba from The Dark Tower (2017) as gunslinger Roland Deschain. More photos can be found at the link below. The pictures look awesome, and I know Elba will “bullseye” the role. The Dark Tower releases in movie theaters on February 17, 2017. Also starring in The Dark Tower is Matthew McConaughey, Katheryn Winnick, Fran Kranz, Jackie Earle Haley, Abbey Lee, and Claudia Kim. 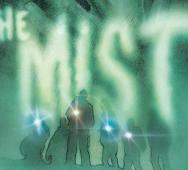 Adam Bernstein is selected to direct the pilot episode of Spike’s The Mist Season 1 TV series. Spike ordered a full-season so expect more news to be released soon. Season 1 will include ten one-hour episodes based on Stephen King‘s novel. Vikings star Katheryn Winnick has officially joined Sony Pictures and Nikolaj Arcel‘s Stephen King film adaptation The Dark Tower (2017). Sadly, with this early news release, details on who she will play is non-existent right now. We will keep you posted once further The Dark Tower news is released. 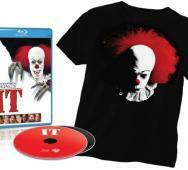 Warner Bros. / Stephen King's IT Release Date Announced! Director Andres Muschietti (Mama (2013)) is bringing Stephen King’s It (2017) back, and Warner Bros. has announced the release date is September 8, 2017. 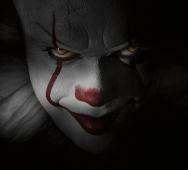 While the film has had a lot of ups and downs, with Cary Fukunaga (True Detective) departing as director and actor Will Poulter (The Revenant) being rumored to be cast as Pennywise the Clown then that falling into limbo. At this stage, this film is still being thought to release as a two-part film even though producer Roy Lee confirmed this in a previous interview, things change and not sure if that changed too. It would be a disaster to release it as a single movie, and there is always the possibility of them creating this into a trilogy somehow to stretch this cash cow even further. We will keep you updated as further movie news is revealed. Sony Pictures has made another positive step in the Stephen King’s The Dark Tower movie; they cast Fran Kranz. Kranz will play Pimli Prentiss, “the right-hand man of the Man in Black.” Jackie Earle Haley will play Sayre, a pivotal role of the Can-toi creatures, aka Low Men. Already announced cast members included Idris Elba as The Gunslinger, Matthew McConaughey as the Man in Black, and Tom Taylor as Jake Chambers. Nikolaj Arcel’s The Dark Tower (2017) is scheduled to premiere in movie theaters on February 17, 2017, and I cannot wait, and we have not even seen any promo material yet. 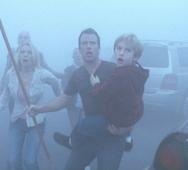 Spike TV is moving forward on their adaptation of Stephen King’s The Mist as a new TV series. Spike’s The Mist Season 1 is officially ordered as a new full series after the pilot episode was ordered and reviewed, Spike liked what they saw. Full details are available in the Press Release below. Stephen King's THE DARK TOWER Movie Starts Shooting! Stephen King’s The Dark Tower movie has started shooting as announced by Sony Pictures. Nikolaj Arcel’s The Dark Tower (2017) releases in early 2017 so it is about time the wheels started moving. 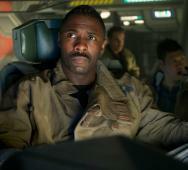 Idris Elba will play Roland, the Gunslinger, Matthew McConaughey will play the villain Flagg a.k.a. The Man in Black, and Aaron Paul (Breaking Bad) is rumored for the role of Eddie Dean. Warner Bros. is moving forward with the film adaptation of Stephen King’s Doctor Sleep novel, the sequel to Stephen King’s 1977 novel, The Shining. Akiva Goldsman is tasked with writing the screenplay adaptation where Danny Torrance is all grown up working at a nursing home where he meets a collection of people known as The True Knot. Stephen King is executively producing with Jon Berg and Jon Gonda supervising for Warner Bros. Goldsman made movie adaptations for I am Legend (2007), I, Robot (2004), The Client (1994), and is also attached to Rings (2016) as a co-writer. We will keep you updated on the Doctor Sleep news once a director and release date in confirmed. STEPHEN KING / HELLHORROR Wish You a Happy Easter! 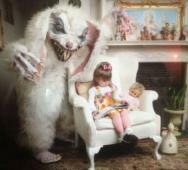 Stephen King shared a hilarious yet scary Easter Bunny photo on his Facebook page today. The Master of Horror has a terrific sense of humor. The photo is by Corey Grayhorse, thanks. Happy Easter everyone! Beware the Easter Bunny in your nightmares! 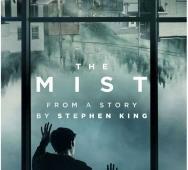 Dimension Television is developing a TV adaptation of Stephen King‘s The Mist TV series for Spike. The first pilot order is now officially ordered. This news is not an official Spike’s The Mist Season 1 announcement but close enough. More news is coming soon, and we will report as soon as it is revealed. Stephen King’s Cell (2016) is still chugging along with the open 2016 release date. 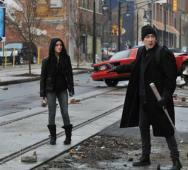 Here are some new photos of the cast including Samuel L. Jackson, John Cusack, and Isabelle Fuhrman. The photos do not reveal anything groundbreaking but do bring back memories of what I imagined when I read the novel so many years ago. Stephen King wrote the screenplay while Adam Alleca made revisions. STEPHEN KING Thinks THE DARK TOWER Starring Idris Elba and Matthew McConaughey!? Stephen King shared some interesting news stating what we all want to hear about The Dark Tower (2017). 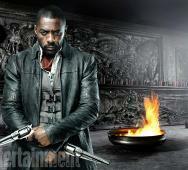 Idris Elba as gunslinger Roland Deschain and Matthew McConaughey as the Man in Black is going to happen. Nikolaj Arcel is going to direct the first in the Sony movie adaptations of The Dark Tower novels; I like to call it Stephen King’s version of J. R. R. Tolkien‘s The Lord of the Rings. All we are waiting, for now, is the official announcement to kick it off. It is no secret that Stephen King hates the direction and changes that Stanely Kubrick made in The Shining (1980). 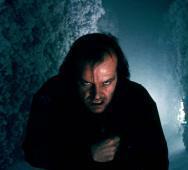 The book version and the movie version of The Shining are two different beasts. 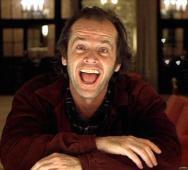 Stephen King revealed that his greatest issue with the movie version involved the main character, Jake Torrance, played by Jack Nicholson. 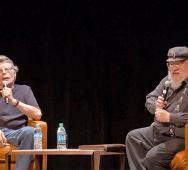 Read excerpts from the Stephen King interview below. So what does horror author Stephen King have to say about Idris Elba playing Roland Deschain in Nikolaj Arcel and Sony Pictures’ The Dark Tower (2017)? I think he would be great because Elba is a great actor who owns his roles but alas, this is all still in the works so nothing final yet. 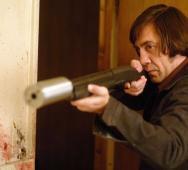 Javier Bardem is also in talks to play the character. But back to Stephen King’s take on Elba playing Roland, he does not care about race. He just wants the best performance and how fast can he draw a gun. Great response from King. We included the official Tweet below. Stephen King has written over 50 novels and 200 short stories. The man is an infamous horror icon and master of horror. This is my list of the best Stephen King film adaptations. This list only includes related horror movies, no Shawshank Redemption, and also does not include TV mini-series events (It, The Stand, The Tommyknockers, etc.). Author Stephen King has been amazingly successful in having his novels/books translate into movies, but at the same time, some turned out to be great while others fell short along the way. Continue below for the full list along with some worthy mentions. The Stanley Hotel, which inspired Stephen King to write the classic horror novel The Shining, thus creating The Shining (1980) movie adaptation, will be getting a horror museum update soon. 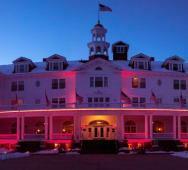 Elijah Wood and Simon Pegg are some of the founders spearheading this addition to The Stanley Hotel. Colorado will be getting a major upgrade to an already great horror experience, ghost tour plus annual film festival, will you be visiting The Stanley Hotel soon? Guillermo del Toro remaking Stephen King‘s Pet Semetary would be phenomenal! 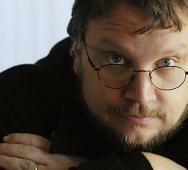 Guillermo del Toro would make a fantastic remake, but he just has no time. The director recently wrapped up Crimson Peak (2015) and is already on continuing Pacific Rim, also having some issues. 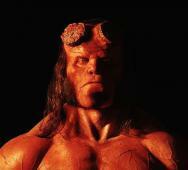 Hellboy 3 is on the thoughts of everyone if a studio would back the huge financial costs. Do we add this to the already long list of films we want Guillermo del Toro to work on? We all know that a Pet Semetary remake is going to happen eventually, but directors like Alexander Aja and Juan Carlos Fresnadillo have also been associated with it to have their association fizzle into past memories. What do you think of this news? CBS’ Under the Dome is officially making Season 3 the final season of the Under the Dome TV series based on Stephen King‘s novel Under the Dome. The TV series has been struggling with weak story plots that have been attributed to CBS’ decision to stretch the TV miniseries into multiple seasons. All is not lost as the season finale episode airing Thursday, September 10, 2015, will answer all questions and reveal of the mysteries. Are you sad to see Under the Dome come to an end or have you been waiting for this to happen since season 1? 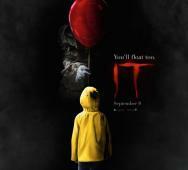 New Line Cinema has appointed Andy Muschietti as the new director of the Stephen King movie It (2016). Muschietti recently brought us Mama (2013) which was well received, Guillermo del Toro was the producer. The deal between New Line Cinema and Muschietti are still awaiting the final closing. When the deal is sealed, a new writer will be hired to bring Muschietti’s vision to the screen. 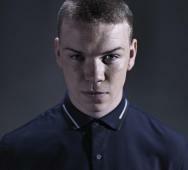 We may still see a 2016 release date but it is also uncertain if Will Poulter will still be onboard to play Pennywise the clown. Fans will be happy that the film is still scheduled to take place over two films. Nikolaj Arcel, now confirmed as the official director of Stephen King‘s The Dark Tower movie. Anders Thomas Jensen has been brought on to rewrite the script by Arcel. The original script was very recently written by Akiva Goldsman and Jeff Pinkner. We are still in the early development of the movie adaptation of an enormous endeavor. Glad to see that things are still pushing forward and awaiting the announcement on who will play Gunslinger Roland Deschain. 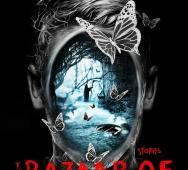 Stephen King‘s latest collection of horror short stories is the The Bazaar of Bad Dreams and here is the cover art. I really like the cover art with the red writing, blue hue plus weird/creepy butterflies. Look for the release this upcoming November 3, 2015. The horror collection of short stories has a whopping 20 short stories to keep you spooked out. 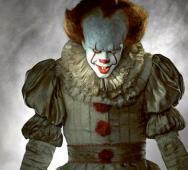 Cary Fukunaga Drops New Line Cinema's Stephen King's IT!? Stephen King‘s IT adaptation has hit a major snag with Cary Fukunaga (True Detective) leaving the director’s chair causing major delays in principal photography. It was reported that Fukunaga felt creatively compromised and with the filming starting in mid-June 2015, he jumped ship. The new IT movie has been delayed until further notice. Warner Bros. subsidiary New Line Cinema wanted to cut the budget down to 1 movie and cut the budget down from a pre-approved $30 million. Ben Mendelsohn was also originally sought out to star as Pennywise the Clown but passed on the role because of a pay cut; this led to Will Poulter being sought next as Pennywise the Clown. Not too sure if Poulter will stick around also. We also included a tweet from Stephen King. Long live Tim Curry as Pennywise the Clown! Stephen King‘s It Remake is pushing forward and it has been confirmed that Will Poulter will play Pennywise the Clown/Monster. Tim Curry nailed this role in the previous It (1990) TV mini-series. Director Cary Fukunaga will breath new life into the It Reboot with two feature films instead of a TV miniseries this time around. 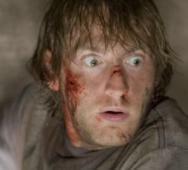 It is said that Poulter auditioned for the role and nailed the role. Too early to call it on my end but I cannot wait to see what develops. 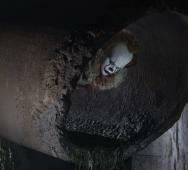 The It Reboot is currently in pre-production. I have really high hopes for Tod Williams’ Cell (2015), the Stephen King movie adaptation of the popular book Cell. 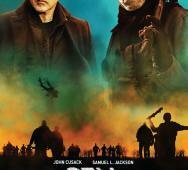 The cast is great and includes Samuel L. Jackson, John Cusack and Isabelle Fuhrman. The screenplay was written by Stephen King with some revisions by Adam Alleca so we should have something very close to the source material. I enjoyed reading Cell and cannot wait to see the new movie Cell (2015), there is still no official release date expect an open 2015 date. Netflix is frequently updating their horror titles for instant streaming and we love it. 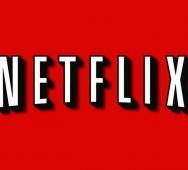 Netflix has just added App (2013), Stephen King‘s A Good Marriage (2014) and The Town that Dreaded Sundown (2014). These are only three horror movie added to the popular VOD service but better than nothing. Over all, the movies here are pretty mediocre BUT The Town that Dreaded Sundown (2014) should be the first movie you watch on Netflix. 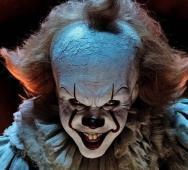 Producer Dan Lin (The Lego Movie) revealed that they are moving forward with a big budget Stephen King’s IT Reboot to start shooting Summer 2015. That is right, big budget. Production will begin with Cary Fukunaga (True Detective) to head the production team. New Line Cinema signed Fukunaga for only the first part of the two part films. The 1986 horror novel book is 1100 pages of material so it will be difficult to do it full justice but I am hoping that they adapt this new Stephen King film well. 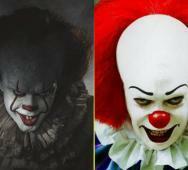 Are you excited, I wonder who will play Pennywise the Clown. Tim Curry did such an awesome job with that character. Evil clowns do not always equal scary clowns in films, but this list of top scary clowns has a great roundup of the scary clowns you should watch. Some people have a huge fear of clowns and let’s face it, clowns are scary as they are funny. Have fun with our list of top scary clowns of horror, these clowns are evil. Our list may also include links to our reviews/views of these film clowns. Stephen King‘s The Stand Reboot has had many issues like Ben Affleck and Scott Cooper passing on the project. 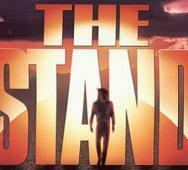 Josh Boone is now the current director and has revealed his plans for The Stand Reboot. Boone will rewrite the the script and make one film that is 3 hours long which may still be too short for a movie adaptation on a book whose uncut version is over 1000 pages. This horror movie will be a R-rated movie so expect this film to be wild! Stephen King‘s Mr. Mercedes is currently released on hardcover, audiobook and ebook so enjoy excerpt below if you have not already read the book. The following excerpt is from pages 13 through 19 of Mr. Mercedes which follows a crazed killer who drives his stolen Mercedes car through a crowd of people. 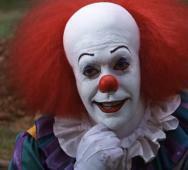 Director Cary Fukunaga is set to direct the new Stephen King’s IT starring our favorite scary clown Pennywise. The horror film is still very much in development and still being fleshed out but the latest news is that Warner Bros. will relocate the film to the New Line division. New Line Cinema will be the horror focused division, they started way back with the Nightmare on Elm Street franchise. 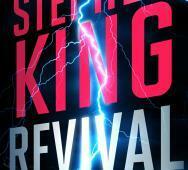 Take a look at Stephen King‘s new horror novel Revival cover art. Many of you know Mr. Mercedes is set to release this upcoming June 2014 with Revival releasing in November 11, 2014. Scribner and Hodder & Stoughton will distribute the new horror book. Read on for the official synopsis. 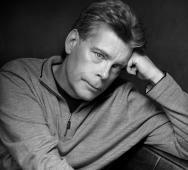 Master of Horror Stephen King will release a few novels this year. 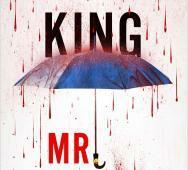 Horror novels include Mr. Mercedes this June 2014 and Revival this upcoming November 11, 2014. Read below for the official synopsis and more on the release details. Tom Holland has been adapting Stephen King‘s The Ten O’Clock People since way back in 2012. Jay Baruchel has been signed on to star in and executive produce the movie adaptation of The Ten O’Clock People. Tom Holland will start filming this upcoming June in Montreal. Originally Stephen King’s The Ten O’Clock People was a short story published back in 1993 in Nightmares and Dreamscapes. The story revolves around Brandon Pearson who is trying to kick a smoking habit and ends up uncovering a scary aspect of reality. Pearson tries to fix these issues through extreme measures. 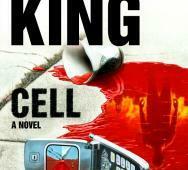 Tod “Kip” Williams (Paranormal Activity 2) will be directing Stephen King’s Cell movie adaptation. Set to star are John Cusack and Samuel L. Jackson plus new addition as female lead Isabelle Fuhrman (Orphan, The Hunger Games) to play Alice. Fuhrman will join Cusack and Jackson’s characters after “The Pulse” in order to leave Boston. “The Pulse” causes people to turn into zombies. I read the horror novel way back in 2006 and enjoyed the read. Stephen King’s Carrie Remake is a new telling of the classic tale and horror movie. Carrie hit movie theaters this upcoming October 18, 2013. I have to admit that I was not really looking forward to this movie in the past but I am slowly gaining interest in the new horror movie starring Chloe Grace Moretz. Check out the first three pages from Stephen King’s Doctor Sleep to see what happened to The Overlook and more importantly Danny Torrance. Danny is now in his 40’s and Doctor Sleep focuses on him and a tribe of psychic vampires. For those of you that do not know; Doctor Sleep is the sequel to The Shining. 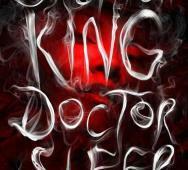 Read the excerpt pages and tell us how stoked you are for The Shining Sequel - Doctor Sleep. 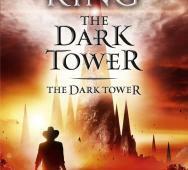 Universal Studios has acquired the rights to the Stephen Kings The Dark Tower. Universal Studios has a track record for bending too many ideas away from the original vision of whatever they acquire. Ron Howard will be directing so The Dark Tower should have some good footing.